While the Venom symbiote has had some diverse hosts over the years, nothing could have prepared it for its newest host, because the new Venom has a serious chip on his shoulder. And he plans on using the Venom symbiote to get what he wants, even if he has to overpower Venom to do it. Lee Price is a former Army Ranger living in the rough streets of New York City. After a military incident leaves him without the full use of his left hand, Lee was discharged from the Rangers so that he could get on disability. Unfortunately for him the payments haven’t kicked in yet, and as a disabled soldier, Lee is disqualified from most private contact jobs. Forced to take protection jobs for criminal smugglers, this is where Lee comes into contact with Venom after the job goes wrong, and weirdly, where things go wrong for Venom. 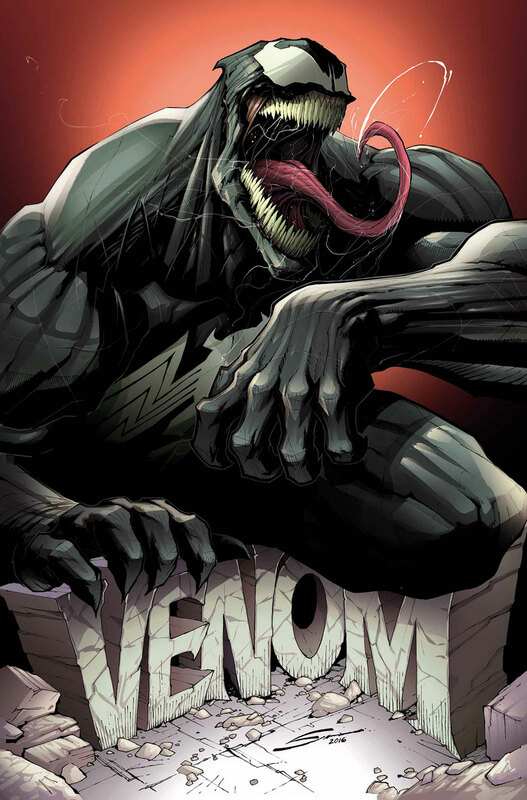 “My last host was a soldier,” the symbiote tells Lee, believing this to be a fortuitous coincidence, “He saved New York — He saved the world” and by now this is when the Venom reveals his evil intentions and devours its host’s mind. Unfortunately for the symbiote, Lee has a little more drive in him in him, and quickly assumes control, much to Venom’s chagrin. While nobody will accuse Venom of being a sympathetic character, his last run with Flash Thompson did see the alien becoming a Guardian of the Galaxy, and actually serving as an effective hero. To see the alien substance beg, “I don’t want this” as its new host quickly rampages through his enemies is a jarring sight, and an interesting direction for the character. And while it would be a shame to spoil such interesting turn of events, the issue ends with Venom perhaps at the lowest point of its existence. Venom #1 is out now in comic book stores and digital retailers.